Like restorations, crowns or caps are not for show or cosmetics. 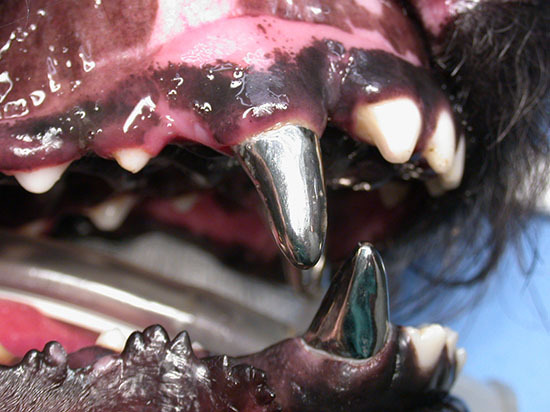 Crowns protect the tooth in instances following root canal therapy or to prevent trauma in dogs that injure their teeth by inappropriate chewing behavior on hard objects. 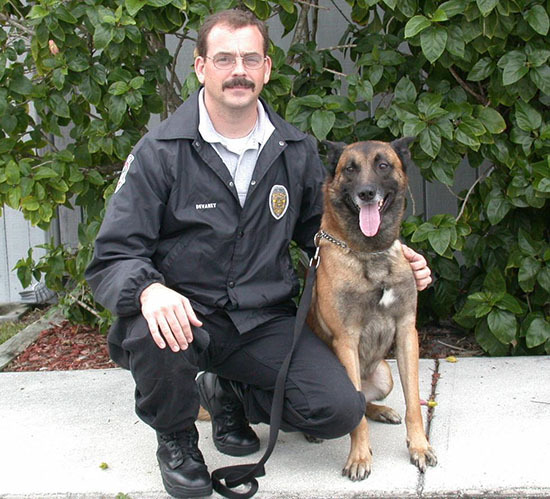 They are commonly used in working dogs like police or sheriff’s department canine officers. A root canal was required for the repair of Barack’s fractured left lower canine tooth. A crown was created and placed to further seal and protect the site of the fracture to eliminate breakdown of the restoration over time and protect the tooth. 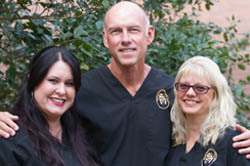 At Orlando Veterinary Dentistry Dr. Beckman treats many canine officers that protect our citizens as well as the officers that train and care for them. Canine officers are trained for specific tasks in criminal apprehension, bomb and drug detection and search and rescue. 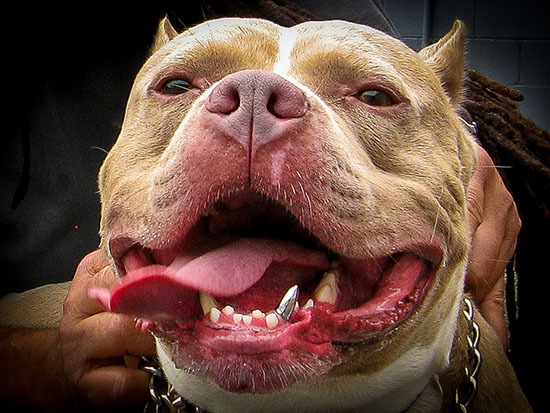 Crowns may be placed, as in this police canine, to protect the tooth from trauma. Inappropriate chewing behavior directed at a cage or crate can be a problem with dogs that must be left for any period of time alone and confined. Unfortunately working dogs fall into this category often. 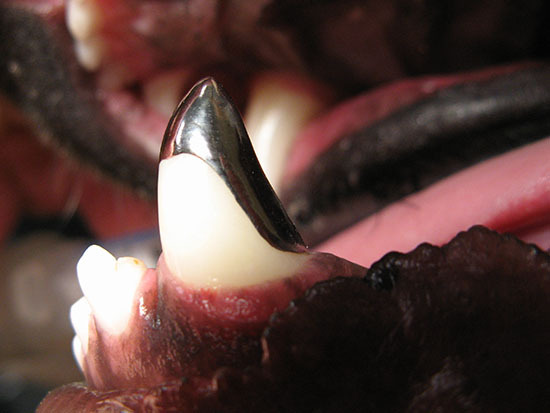 In this dog a 3/4 crown protects the back of the tooth that would otherwise eventually be destroyed with cage chewing. Crowns may look “cool” or make the pet look dangerous but this is never the intent. 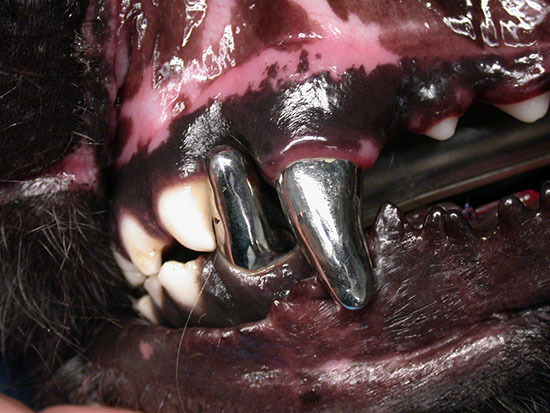 Crowns in dogs are never placed unless they are necessary for the individual patient.